Many Michigan car crash victims are shocked when they learn they must sue their own auto No-Fault car insurance company just to get the No-Fault insurance benefits that they’ve been paying for … often for years. If car insurance companies just did right by their customers, my phone certainly wouldn’t be ringing as much. Most people who’ve been involved in a car accident just want their auto insurers to do what they promised them they would do — repair their damaged cars, pay for their medical expenses if they had to see a doctor, and reimburse them for the lost wages they missed because they were too hurt to return to work after a crash. Welcome to my world. Unfortunately, auto accident attorneys like me see what car insurance companies do to people on a daily basis to break their contractual promises. Everything is fine when they are getting your checks for premiums, but when a car wreck occurs, suddenly claims (which is another way of saying human beings) are put “under investigation,” which is another insurance euphemism for ginning up an excuse to later “justify” that the claims adjuster can use for why she stopped — or never paid at all — your medical bills and wage loss. People are being ignored, threatened, intimidated and even lied to by their insurance claims adjusters. Below are my Top 5 most common tactics that are used by many auto insurance companies and insurance claims adjusters to avoid paying valid claims. I’ve added my own suggestions for how you can protect yourself and protect your legal rights if this happens to you or someone you love. One of my first recommendations is to always talk to an independent insurance agent. The reason why is that an agent that only sells for one insurance company (i.e., a “captive agent”) will not always be forthcoming about better coverages that can better protect you if his or her insurance company doesn’t offer it. The saddest example I’ve seen time and time again as an auto accident lawyer involves captive agents who never disclose to their customers what uninsured/underinsured motorist policy is — because they don’t offer it. These customers sit down and tell the agent they want to protect themselves and their family. The agent will sell them a million dollars of RBI (residual bodily injury coverage) to protect some stranger if they (the customer) cause an auto accident, but then sell them 20,000 dollars in UM/UIM if they are catastrophically injured or killed because of someone else. But I see captive agents do this all the time to people who never find out about this until it is too late. The reason this matters so much is that you and your family members will have no source of legal recovery for your own bodily injuries without uninsured and underinsured motorist coverage. You are completely dependent on whatever the policy limits are of the person who caused the car accident. In Michigan, the minimum insurance policy limits are $20,000 and that’s what most people are driving around with. Or you can be injured in a car accident in Detroit or Flint, where approximately over 50% of the city population doesn’t even have auto insurance, in which case you would recover absolutely nothing for your injuries or pain and suffering if the driver who hit you didn’t have insurance and you don’t have uninsured motorist coverage. That million dollars of RBI insurance your agent sold you if you cause a car wreck doesn’t do anything to protect you and your family if you’re the innocent victim and are injured by another driver who wasn’t paying attention. Yes, you can hire a lawyer and sue the wrongdoer driver for his or her personal assets, but most people do not have personal assets to compensate a person that they have seriously injured – and unless drugs or alcohol are involved in the crash, they can always declare personal bankruptcy at the end of the case and avoid paying you anyways. Too often, insureds are led astray like this because mentioning important coverage options and applicable discounts could lead to reduced commissions for the agents. There are other issues that can arise as well, when navigating health insurance plans, managed care plans, self-funded ERISA plans, and when selling coordinated/uncoordinated PLPD policies. Check your own auto insurance policy to verify that you uninsured/underinsured motorist coverage. I recommend at least $250,000 per person and $500,000 per accident. For most people, this is the price of buying two movie tickets and a bag of popcorn. If this critical type of insurance coverage is missing, because your own insurance company doesn’t offer it, drop your auto insurance like a hot potato and contact an independent insurance agent to get quotes from many insurance companies that do offer it so you can get the best coverage at the lowest price. A “set-off” provision that may reduce your uninsured or underinsured motorist benefits by the amount that was paid in medical bills and wage loss benefits, or the amount you’ve recovered from an at-fault driver. Far too many people lose out on important insurance benefits because they were unaware of important filing requirements buried in their policies. . Notify your insurance company immediately after any type of auto accident, especially one involving a hit-and-run driver. Check insurance policies for any set-offs that can be used to deduct benefits that you’ve paid for. These include uninsured and underinsured motorist coverage, and any overlap with your own health and disability insurance. Make sure your medical providers are sending bills to your No-Fault insurer. Consider calling an experienced auto accident attorney, who can quickly review with you what you are entitled to under Michigan’s auto law. Do not assume your adjuster is looking out for your best interests and telling you everything you’re entitled to under your policy. Imagine that you’ve been hurt in a car crash. You’re now recuperating at home, in pain, and worrying about how you are going to pay your bills. A car insurance company adjuster knocks on your door (yes, they actually do this). The adjuster represent the person or the company that caused your wreck. They have a check they can give you for $10,000 for your auto accident. All you have to do is sign the release they hand you. They do this for a reason. For many people, especially people who are hurting and under stress, $10,000 sounds like a lot of money. Too many people rush into accepting the first settlement offer they get without ever consulting an attorney. Offering to settle early for a fraction of what an experienced auto accident attorney can recover for you is great for the car insurance company, but not so great for you. One study by the insurance industry found that an auto accident victim who is represented by an experienced auto accident attorney recovered approximately 4 x more than if that person is unrepresented. That’s why the adjuster for the guy that just hit you is knocking at your door or calling you at home! Find out what your case is really worth by checking out Michigan Auto Law’s “What Is Your Auto Accident Case Worth?” tool. Get a free consultation with a Michigan Auto Law lawyer. As I wrote above, research has shown that auto accident injury claims settle for about four times more when you’re represented by an experienced attorney. Arguably, the number is even higher now as the insurance industry uses claims processing software that now evaluates who that attorney is. As with the low-ball settlement offers discussed above, insurance companies continue to do this because it works with frequently overwhelmed, injured and vulnerable motor vehicle accident victims. Claims adjusters often try to get recorded statements early on. 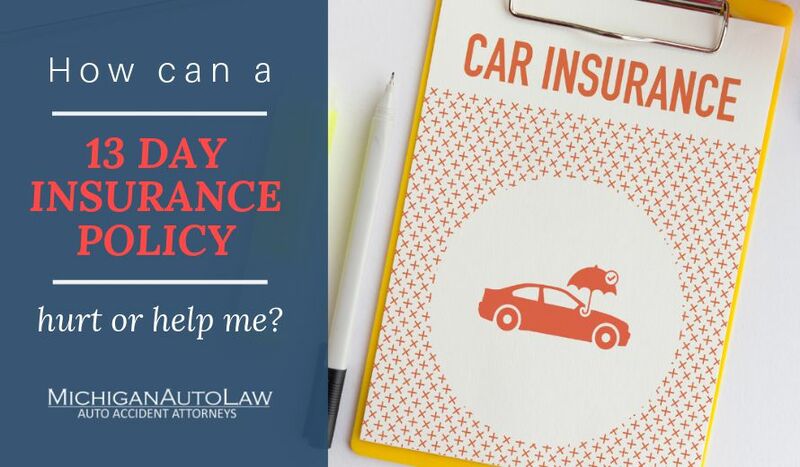 In Michigan, this can often be your own car insurance company that is looking to minimize your future personal injury lawsuit by asking you questions that they have no right to ask, such as detailed questions about how the crash occurred. Remember, if you have uninsured or underinsured motorist coverage and you are seriously injured, your own insurance company may have a clear conflict of interest and may be undermining your medical care or future injury lawsuit because they are looking to minimize what they may later have to pay you. If you are ever asked to sign a release, such as a mini tort release, you need to make sure it is not a release of any other claim other than the one you are releasing. Be careful, this happens all the time. If you see any language regarding “all claims,” or “known or unknown” you should stop and contact an experienced attorney to review the release. You may be signing away a half million dollar injury claim for a few thousand dollars! If you were injured in a car crash, my advice is to never give statements to an adverse auto accident claims adjuster or a third-party adjusting service that may be hired. Never sign a release for an adverse party to review your medical records. I understand why this happens, but no matter how desperate you may feel or how much anxiety you may be feeling about the burden of medical bills, lost wages and disabling pain, resist the temptation to “cooperate” with the claims adjuster who is making vague promises that they’ll “take care of everything” and are dangling an early settlement with you without telling you what that amount will be. Watch out for stone-walling. Many states have very strict statute of limitations, which is the time you have to file a lawsuit. Claims adjusters always seem to want “one more thing” before they will pay your claim. Some statute of limitations can contractually shortened even further depending on what type of auto accident you had (such as if you were injured in a hit and run). Once a statute is blown, it’s blown forever. There are very few exceptions to this. Most people who have been injured in an auto accident will call their car insurance company to find out what to do next. Yet many insurance companies have been repeatedly sued and fined for the deliberate and standard practice to delay, deny, and then to defend valid auto accident claims. This includes the “good hands” folks at Allstate, and the “good neighbor” at State Farm. The delay part is especially dangerous with auto No-Fault claims. In Michigan, I see claims adjusters ignoring submitted claims, not returning phone calls, passing victims from one adjuster to the next, putting claims “under investigation” — often without any reason given, and then demanding that victims submit to a string of seemingly endless IME (misleadingly called “independent” medical exams) by “hired gun” insurance-company doctors. If you are experiencing these typical delay, deny, and aggressively defend tactics, your only choice is to hire an auto accident attorney who can assist you with getting your claim paid and the insurance benefits you are entitled to by law. Consider raising your deductibles to at least $500 or more as this can dramatically lower your auto insurance premiums by 15% to 40%. Consider dropping collision and/or comprehensive coverage on older cars. If your car is worth less than 10 times the premium, eliminating those coverages can save you money, unless you still owe money for the car.